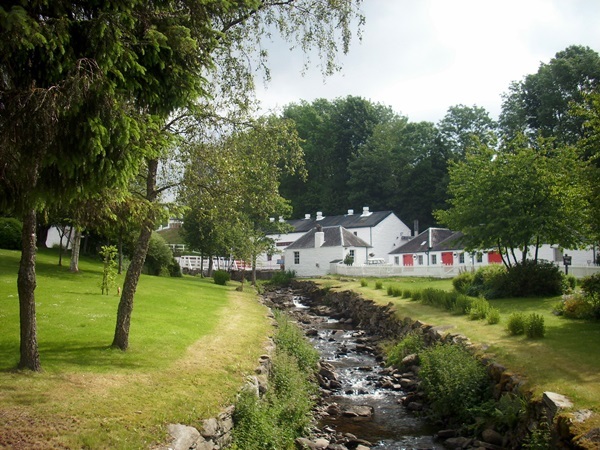 Edradour whisky distillery is located in the southern Highlands in Perthshire. Just three miles north of the tourist spot of Pitlochry. 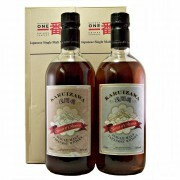 This distillery claim to fame was one of the few remaining farm distilleries with the smallest legally allowed stills. 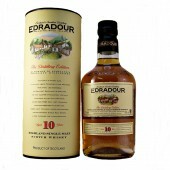 Edradour whisky distillery house style is a soft fruity creamy whisky. Edradour (ed-ra-dow-er) is the smallest malt whisky distillery in Scotland and the last original ‘farm’ distillery in Perthshire. The name Edradour is derived from the Gaelic “Edred dobhar” the stream of King Edred. An early distillery called Glenforres was founded in 1825 by a cooperative of farmers from the area; distilling in the same cluster of stone buildings where Edradour is made today. 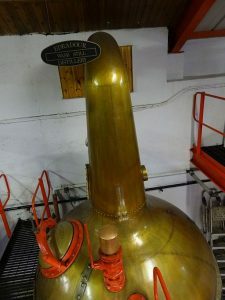 The minimum legal still size for a still at the time was 40 gallons, and that was size selected by co-operative and has continued to be used to this day. The first mention of Edradour appears in 1837. During 1886 John McIntosh acquires the Edradour distillery. William Whiteley buys the distillery in 1933. Electricity was installed in 1947, previously the waters of Edradour Burn were used to turn wooden paddles to generate power for the distillery. Campbell distillers purchases the distillery in 1982 and builds a visitor centre. The Edradour whisky for many years could only be tasted in the House of Campbell’s premium blends. 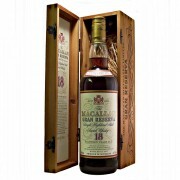 These included what was, at one point, the world’s most expensive blended whisky, the appropriately named King’s Ransom. In 1986 Edradour was bottled as a single malt for the first time. During 2002 Andrew Simmington of Signatory Independent bottlers buys the distillery for £5.4 million. (=£7.6million at todays values). The precise shape and size of the still is maintained to preserve the character of the whisky so when replacements are needed, the new stills are reproduced exactly to the shape of the originals – right down to the dents which have been acquired over the years. Edradour is the smallest distillery in Scotland employing just three men. The neat cluster of buildings, virtually unchanged in the last 150 years, houses the distilling equipment that can just about produce commercial quantities of 12 casks a week. May 2015 a new planning application is approved for a new distillery to work along side. The plans are for the distillery to duplicate the original Edradour distillery equipment plus a further two washbacks. Founded in 1825 by a farmer cooperative. Water Source; Spring on Ben Vrackie. 1.15 tonne Open Cast iron mash tun. 2 small stills (smallest allowed under Excise regulations). Last Morton refrigerator in operation to cool the worts. Matured in American oak bourbon casks. Various port sherry and wine casks are used to finish some whiskies. 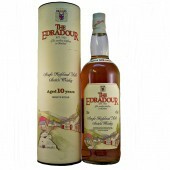 Edradour distillery produces a soft fruity creamy whisky. The use of other casks in the finishing process create rich and fruity malt whiskies. 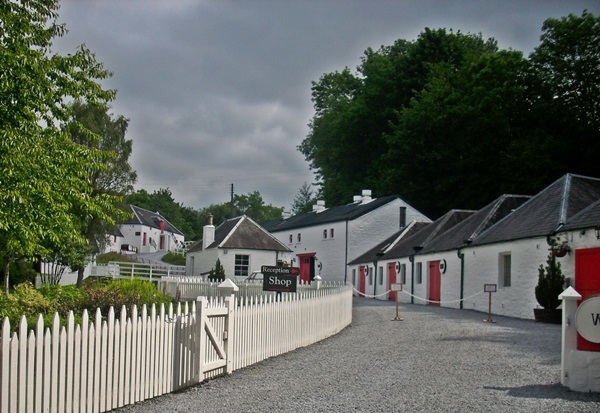 The Edradour distillery visitors centre is well worth a visit and regularly run guided tours of the distillery throughout the course of the day. Mid April to mid October.